Did you know that sophisticated IT Security Controls may be circumvented using a 50$ physical attacks? Let’s discover the underground world of « hardware hacking » and take part in a technical workshop, accessible to all! You will learn how to modify, exploit and reveal hidden and unsuspected functionalities of public available devices, through a practical example. Disassembly and physical analysis of a “pocket” Wi-Fi router. Linux/OpenWRT: config, network, Wifi, etc. Promote a “Do To Learn” approach. “Do To Learn” approach. 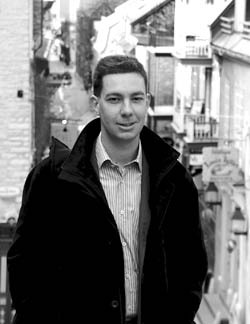 Computer Science Engineer by training, Dimitri Souleliac was successively TCP/IP developer for embedded systems, Security Architect and Information Security Governance & Risks Advisor. For the past 10 years, Dimitri has achieved multiple missions in France, Switzerland, Germany, United States, Canada and also in Haiti to improve security for a banking network. Through its international working experience and versatility, Dimitri Souleliac has remarkable abilities to contextualize hi-tech threats through enterprise’s operational risks. Since 2010, Dimitri Souleliac has been an Information Security Senior Advisor in a large Canadian financial group.